Every few weeks, we offer our “B Review”—a short take on restaurants that are casual and (typically) not too pricey. Ask me where to go for Korean barbecue and I can come up with at least five solid suggestions. 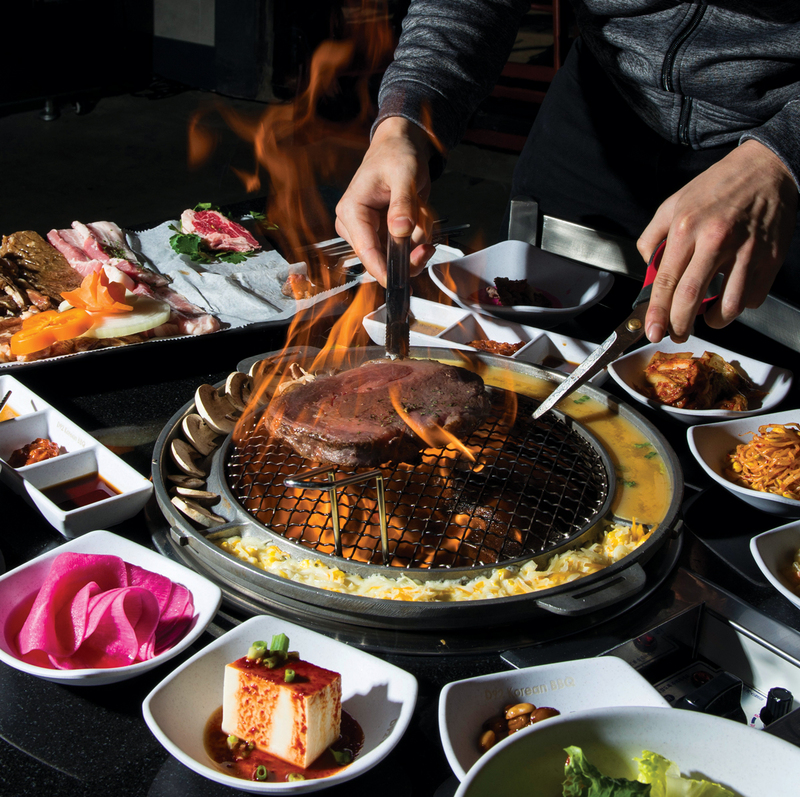 Whether you’re looking for pork, beef, or offal cooked over charcoal or—gasp!—gas, Korean barbecue is all over the map in metro Atlanta. Well, some of the map. There hasn’t been much quality Korean barbecue inside the Perimeter since Mirror of Korea on Ponce de Leon Avenue closed forever ago. D92 Korean BBQ set out to change that when it opened in Decatur last August. It offers the kind of Korean barbecue that typically warrants a trip to the suburbs. 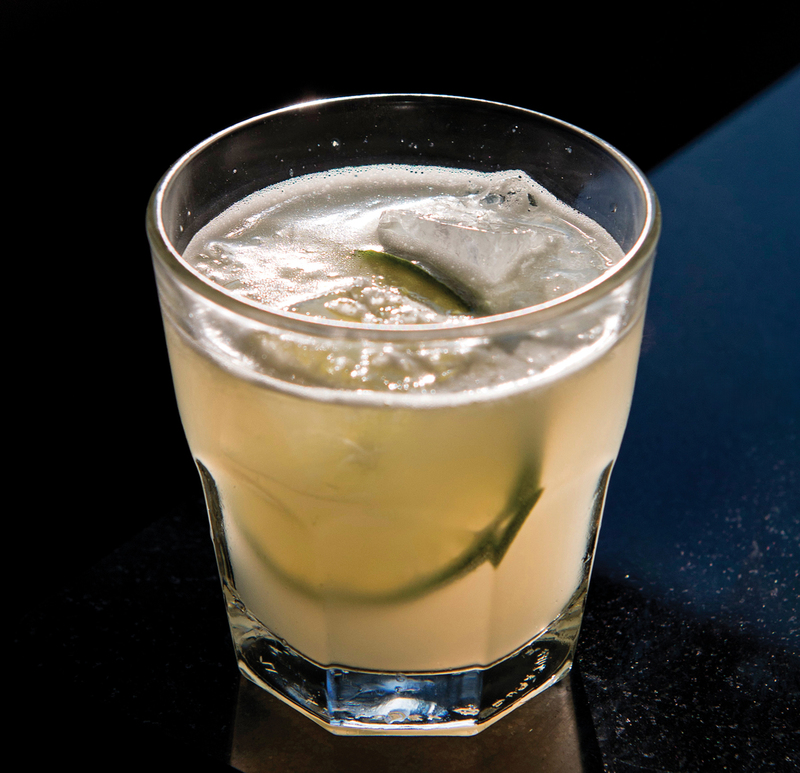 Plus, there are cocktails (including a Smoky Yuzu Margarita)—something most of those other places don’t bother with. D92 gets instant cred because one of its owners, James Kim, also opened 9292 in Duluth, which tops my list of charcoal Korean barbecue spots. D92’s space is large even for a Korean barbecue restaurant, where tables have to accommodate inset grills (gas ones rather than charcoal, in D92’s case) and drop-down exhaust fans. The absence of charcoal aside, D92 has core offerings that mirror those of its big sister, including a quality selection of prime beef and pork. In addition to barbecue, there are homestyle dishes, such as beef japchae (stir-fried clear noodles), and trendy ones, including Korean fried chicken, served spicy or soy-seasoned. Everything, including the banchan (little side dishes of kimchi and snacks such as seasoned soybean sprouts and simmered quail eggs), is made in-house. The bulgogi marinated in soy and golden kiwi is a bestseller among the cuts, but it’s best to order an assortment of meats, which will be cooked at the table by a friendly and super-attentive server. Vegetarians and pescatarians need not miss out on the fun; there are main-course barbecue options such as portobello mushroom caps and whole squid, and the unlimited banchan—complete with gooey Korean corn cheese and soufflé eggs—is itself enough for a meal. Kim recently opened a third restaurant, 9292 Gopchang in Duluth, which serves specialty items like tripe and pork skin. (Wondering what’s with all of the numbers? In Korean, “92” sounds like “grilled.”) He’ll also be opening a hot pot restaurant there, as well as a Korean barbecue spot with D92 co-owner Justin Lee in Athens. Kim’s ever-expanding empire will no doubt make good Korean grub easier to find—and make my list of recommendations even longer.